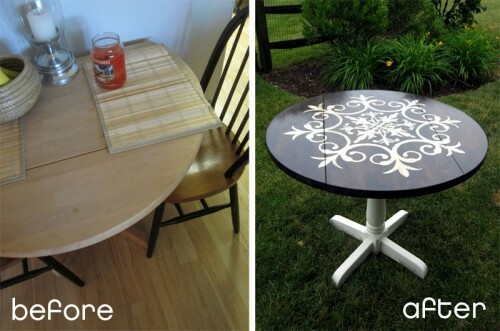 This awesome table makeover is done by Christina from Christina’s Adventures. A very old grandmothers table was completely unfinished and re-stained. 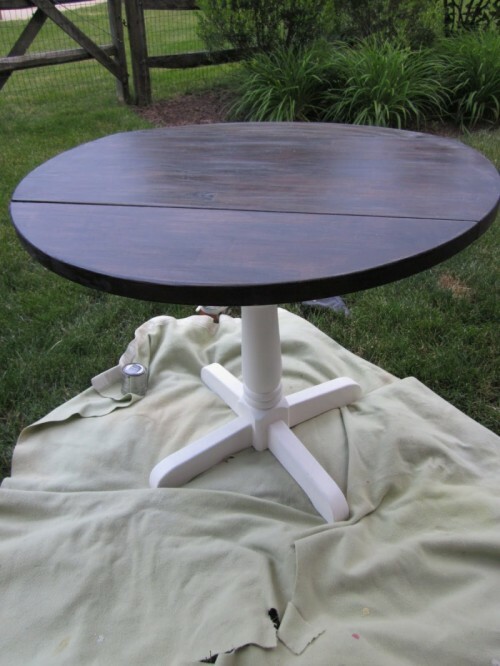 The table legs were primed and painted in white. 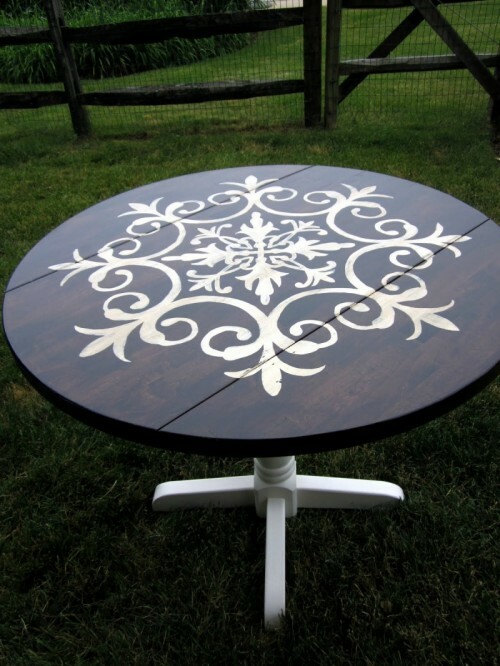 After the makeover the tabletop features an awesome painted medallion that in my opinion was a great idea.